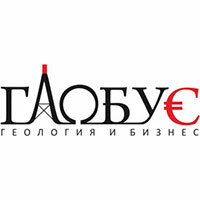 The Republican center for geological information “Kazgeoinform” LLP (further – RCGI) is established according to the Government Decree of the Republic of Kazakhstan No. 376 in 2018, June 25. 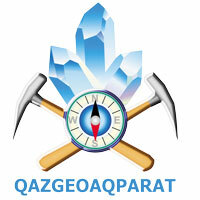 RCGI is successor to the rights and obligations of the reorganised Republican center for geological information “Kazgeoinform” and the Republican state company on the right of operational management “Informative and Analytical centre for Geology and Mineral resources of the Republic of Kazakhstan”. The primary activity of RCGI is the collection, storage, processing and provision of geological information. The responsibilities of RCGI are the gathering of geological information owned and used by the State, for the storage, consolidation, systematisation and provision of geological information to interested persons as the National operator for the collection, storage, processing and provision of geological information. 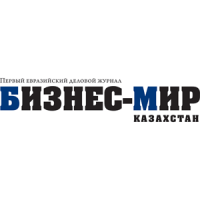 Platform for sharing information, exchanging opinions and experiences, proving oneself, and finding clients and partners.The magazine with more than 7 years of experience has been the Official media partner of the business events not only in Kazakhstan and the Eurasian Economic Union (EAEU), but also in the United States, Singapore, Austria, Germany, Georgia, and other countries. Kazakhstan Mining Industry portal – it is special Internet-resource in central Asian Region, which is dedicated for mining industry. Daily news of mining industry of Central-Asian Region and World, searching of exploration, building and project organizations, contacts with subsoil-users, investors and suppliers of equipment, analyzing of progress tend of mining industry. «Mining and Metallurgical Industry» National Magazine was established by the Republican Association of Mining and Metallurgical Enterprises ALE in 2008. The magazine shows activity of mining companies on introduction of innovative technologies, modernization of production, reduction of injury level, increase of productivity and social responsibility, training and etc. The magazine promotes exchange of best practices in the industry, consolidation of workers of the real sector, conduction of industry conferences and congresses. It is accredited in the Presidential Administration, Parliament, ministries and departments of the Republic of Kazakhstan and has become an interactive platform for exchange of views between the Ministry, employers and the union in the ten years. Periodicity is 12 items per year; the index according to the catalogue of the «Kazpost» JSC is 74112.
International Mining Research, David O'Brien, author of over 300 articles on the mining industry, and focused on company research on prospecting companies and junior miners. International Mining Research is also affiliated with W.I.T Marketing, an advertsing agency, and contributes to the Prospector News. We are a small dedicated team of professionals, aiming to help you make the most out of your next business trip. Our main goal is to find the type of accommodation to fit your needs and budget. 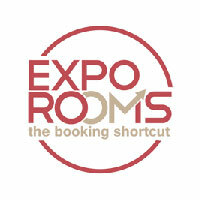 ExpoRooms.com began as a side project in 2013. We decided to bring together our previous professional experience in travel planning, web development and digital marketing and build a better service for you – the business traveler. Since its inception our service evolved into a contemporary fully-fledged online booking system, helping you find and book accommodation for your next trip. Brand-Service. 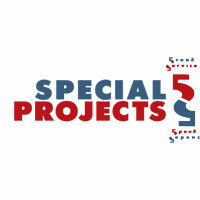 Special Projects company issues and guarantees targeted distribution of Reference maps among manufacturing enterprises. Reference maps contain information about geographical location, specialization, operational indicators. Reference maps are effective advertising carrier which combine exclusive and useful market information and guarantees of distribution among target audience. 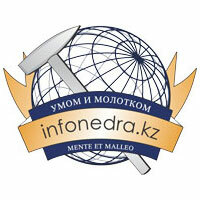 The Internet resource www.infonedra.kz supported by LLP «Two Key» place information, recent national and world news, business proposals from companies and firms specializing in subsoil use, as well as materials from mineralogical, geological and geochemical investigations. 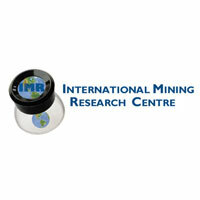 Web Resource provides visitors with information about mining, mining industry and related industries. In the section «stock information» is possible to see the latest on-line price trends presented with the London Stock Exchange for aluminum, lead, copper, tin, in the news frame read analytical articles and reports of world news agencies. In addition, companies working in the sphere of subsoil can use the «labor exchange» for recruits of specialists. The target audience of the Internet resource – is top-managers, managers, marketing specialists and users which showing the business interest in the subsoil use and production of mining industries. All information is freely available. 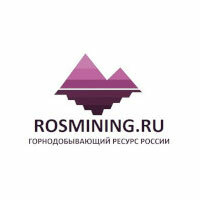 Rosmining.ru is a specialized resource dedicated to the mining industry in Russia. students studying in mountain and related specialties in higher and secondary educational institutions. The project was implemented on the initiative of representatives of the leading mining and metallurgical companies in Russia. The Rosmining team consists of graduates from the leading Russian universities (Moscow Mining Institute, Gubkin Russian State University of Oil and Gas, BashSU, MAI, Sergo Ordzhonikidze) who are experienced specialists in various areas of the mining industry's professional activities (procurement / supply, production, analytics, finance), as well as from experienced webmasters. 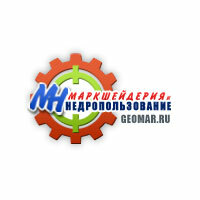 «GORNAYA PROMYSHLENNOST» («MINING INDUSTRY») is an international specialized scientific and technical trade journal dedicated to the progress and latest engineering developments in mining, mining engineering and processing equipment, modern computer systems, scientific studies, R&D, state of the mineral resources market, experience in investments into mining both in the Russia. It has been published bimonthly since 1994, its circulation amounts to 10000 copies. Available on the App Store and Google play. 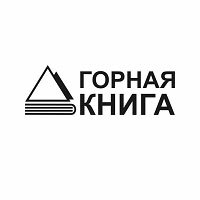 The publishing house "Gornaya kniga"
«Gornaya kniga» since 1992 has published more than 3500 books on mining, geology, oil and gas, construction technologies, mechanical engineering, economics, ecology, mining law, physics, and mathematics. 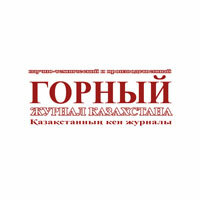 The publishing house’s manuals, handbooks and monographies are spread throughout libraries and universities of Russia, Kazakhstan, Belarus, Uzbekistan, Armenia, Ukraine, Mongolia, and others. 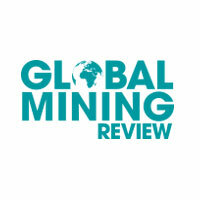 The MINING INFORMATIONAL AND ANALYTICAL BULLETIN (SCIENTIFIC AND TECHNICAL JOURNAL), GIAB – the leading mining magazine that comprises scientific articles on all the technical disciplines connected with mineral exploration and extraction, including oil and gas, building and exploitation of mines and quarries, pipelines, and refiners – is printed on a monthly basis. The magazine is on the High Attestation Commission’s (VAK) list. The Russian Index of Academic Citing (RINZ) also indexes it. GIAB gives a very deep insight on the industry’s condition in general and provides information about innovations in the fields of manufacturing organization, sound technologies, and up-to-date equipment. 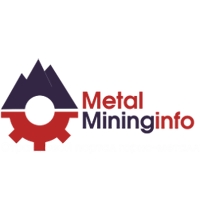 "Russian mining and construction digest" – (mining, construction, industry). Internet edition highlights significant events in these sectors. Media partner and participant of Important events at the federal and industrial levels. Serves as an important communicative bridge of Russian wide, CIS and international markets. “Globus: geology and business” is an information journal. MINE SURVEYING AND SUBSURFACE USE is a journal for specialists of surveying, geological, and ecological services, for leaders and executives of federal and regional bodies, scientists, teachers of higher educational institutions, for research institutes and designing organizations. The magazine is issued 6 times a year in black-and-white with colour inserts and cover. The format is A4, each issue contains above 70 pages. The informational and analytical magazine "Gold and technologies"
The informational and analytical "Gold and technologies" magazine specializes on gold mining, technological features of gold mining process, the state of affairs in this industry, the legislative base, geology, investigation, etc. The edition is distributed to all gold mining enterprises of Russia, refineries, scientific and research laboratories and organizations. Besides, the magazine is received by central and regional departments' officials of subsurface use and also the Russian and foreign producers, and equipment's suppliers, suppliers for gold mining industry's technologies. The geography of distribution is 25 Russian Federation territorial regions. 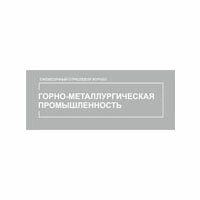 Published by Russia’s Ministry of Energy, Ugol’ (Russian Coal Journal) is a monthly journal, that deals with scientific, technical, industrial and economic topics. Journal established in 1925. 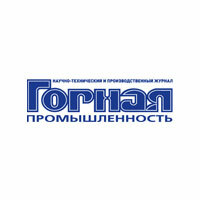 Ugol’ is the leading journal of Russia’s Coal Mining Industry. The main subscribers are Russia’s coal mining enterprises (coal companies, underground and surface mines, machine manufacturers, research establishments and others). Apart from Russia the journal is also distributed to foreign subscribers in 15 countries and the CIS. 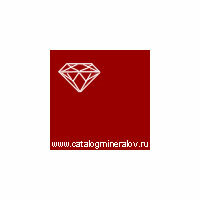 Ugol’ (Russian Coal Journal) publishes industrial and social issues of coal mining companies. Furthermore, it provides economic information, statistical data, outlooks, regional reports, news about progress in mining technologies and equipment, underground and surface mining, coal processing and utilization, articles on environmental issues, miners’ safety and health. Also included are experiences in other countries, short news items, mining exhibition and congress reports, official documents, notes on history of mining. Volume – 80-88 pages and cover, size A4, art paper. Circulation – 6300 copies. LS Aqparat covers only financial and economic news. The agency targets economically active people who are interested in methods and tools of investing their available funds. The agency LS Aqparat is open and independent. 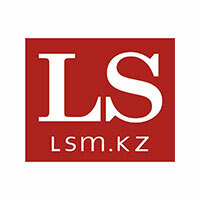 Our website is for discussion of the most important problems faced by the development of the economy of Kazakhstan. 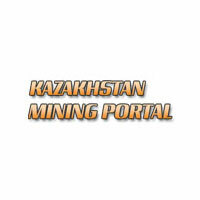 The branch Internet portal of the mining and metallurgical industry of Kazakhstan www.metalmininginfo.kz includes sections of news information, analytical reviews, interviews with industry experts, articles on the most pressing topics in the industry, company press releases, a list of enterprises of the mining and metallurgical complex of Kazakhstan. The concept of the portal is the formation of a single information industry platform that allows Kazakhstan mining and metallurgical companies to present and promote, consolidation of the most relevant and popular sectoral information.